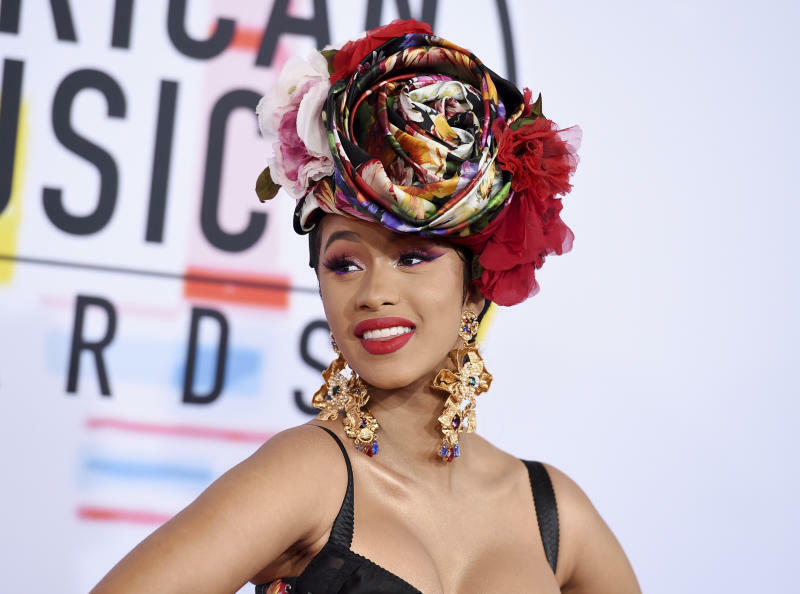 MIAMI BEACH, Fla. (AP) — Less than 24 hours after announcing her split from her husband, Cardi B was spotted partying at a nightclub to kick off Miami's Art Basel. The rapper sported long, rainbow streaked hair and a skin-tight black dress at 24/7 ultra-club E11EVEN MIAMI on Wednesday night. When the DJ played her hits, including "Bodak Yellow" and "Drippin," which features her ex, Offset, Cardi B grabbed the microphone and sang along. She posted an Instagram video saying she'd been trying to work things out with Offset: "I guess we just grew out of love. But we're not together anymore." She says she'll always "have a lot of love for him because he is my daughter's father." The prestigious art fair officially opens Thursday, but star-studded parties are already in full swing.